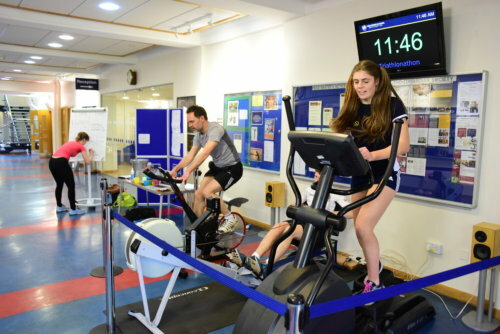 Home/What’s Happening/Latest News/KES Triathlonathon 2019! The Summer Camp team held their annual Triathlonathon on Friday. 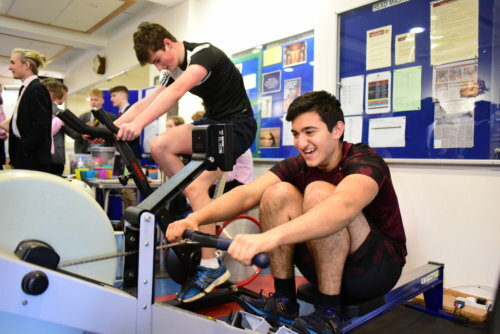 The Crush Hall was awash with activity for a full 12 hours as students and staff cycled, rowed and ran to raise money for the Southampton’s Young Carers’ summer trip to the New Forest. In total, 601.6 km were travelled and to date over £780 has been raised in sponsorship.